Ufone is a company which is providing all the best services to their always welcomed special customers. Ufone SMS packages are something which can make the life easy by subscribing to any of it. We all want to stay connected with our loved ones. Ufone SMS packages which are for daily, weekly, monthly and even yearly are giving us major goals to stay connect with UFONE services. When it comes to avail SMS packages of reasonable rates with the huge number of SMS, UFone is taking the best care of their customers in this aspect. They are providing the best service for Ufone SMS packages of every range. So it’s all about U! 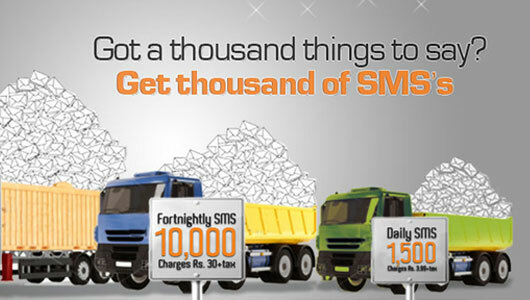 To get the details of Ufone SMS packages daily, weekly or whatever you can simply dial 100 from your handset. For your easy approach here you go with all the necessary details of subscribing to your required Ufone SMS packages. 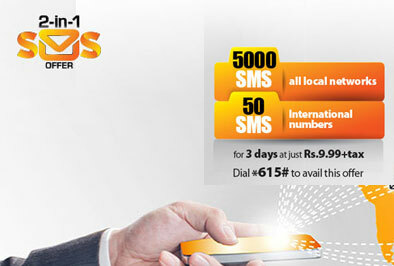 Providing you with the wide range of SMS here you can check the daily SMS package details by Ufone. Those who are addicted to messaging can enjoy this SMS bundle offer. after completion of 24 hours, the package will activate again on its own. you have to unsubscribe if you don’t want to avail the package on daily basis. If you want to have a good SMS bundle for 7 days that is one week you can subscribe to this Weekly SMS package of UFONE and can set free of free messages. this offer is only for Uth pack customers. charges are exclusive of tax. Ufone is offering Super Card worth Rs 520 through which u can get 1000 SMS, 1000 U to U and PTCL mins, 250 off-net mins to their customers. The validity of this super card is for 1 month. So If you wanna take a joy of monthly free SMS you can load this Ufone Super Card. Fair Usage of 110,000 SMS apply. Despite these packages for SMS Ufone is also offering some good bundles too. let’s have details to know further about those Ufone SMS packages 2018. To get the free no of SMS for 14 days you can easily subscribe to this amazing fortnightly UFone SMS package. you have to resubscribe after the completion of 14 days. Step 2: Send to the respective code of the required subscription plan or SMS bundle Example: Send “Sub” in an SMS to 603 for subscribing to Fortnightly Package. These Ufone SMS packages don’t include International or premium messages. To check remaining no of free SMS you can send blank SMS to 606. To check the expiry you can send blank SMS to 606 as well. Ufone is not letting their precious customers down by not offering SMS offers for International usage. Yes, you read it right. So here you go with the superb offer for International SMS. So if you have a family or any loved one abroad you can stay connected to them by this UFone 2-in-1 SMS offer. Price of this package is Rs 9.99 + tax and to subscribe you can dial *615#. This service is available for all prepaid Ufone customers. Customers can subscribe to multiple SMS packages with this service also. This is all about Ufone SMS packages by Ufone in 2018. If we are missing something do let us know our Deikhoo team would love to hear from you all.